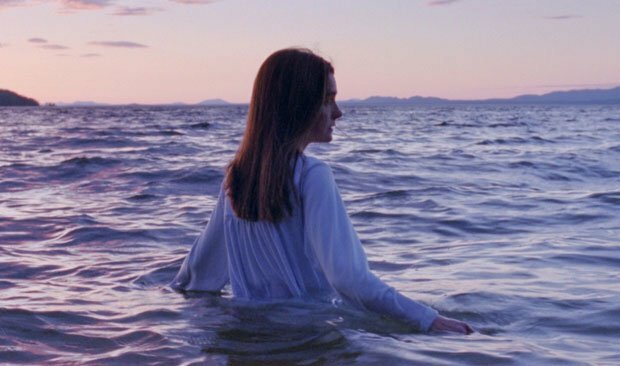 Fleeting moments of happiness are wrestled from the misery of illness and adversity in accomplished heartbreaker Never Steady, Never Still, the feature debut from writer-director Kathleen Hepburn. Expanded from her award-winning 2015 short, it immerses us in the harsh landscapes of a wintry British Columbia and in the bleak lives of individuals for whom family is a deep comfort and a grave concern. Shirley Henderson gives an extraordinary performance as Judy, a woman who has suffered from Parkinson's for the lion's share of her 23 years with husband Ed (Nicholas Campbell). Henderson captures all the physical manifestations of Judy's illness, from the incessant tremors to the daily frustrations of not being in control of your own body, as she struggles to dress herself unaided or make a cup of tea. She also convinces us of Judy's shining, careworn spirit as she diligently heads to her support group and strives to be seen as an individual rather than a helpless victim. The film's focus also falls on the couple's 18-year-old son Jamie (Théodore Pellerin) as he drifts along, uncertain about his sexuality and unable to define his place in the world. Encouraged to move out and take a job as a roughneck in the oil fields of Alberta, he is confronted by a brutal, testosterone-filled workplace. Jamie's journey towards maturity is nicely balanced with Judy's daily battles against her shrinking world, as an understanding of their mutual dependence deepens. It is a rigorously unsentimental drama marked by sensitivity and a sense of compassion for individuals at the mercy of fate. The icy wastes stretching as far as the horizon, the twilight sunshine glancing off a lake's surface and plaintive stretches of voice-over narration all add poetic touches to a melancholy but impressive film. Selected release from Fri 20 Apr.